Training camp has started for the Rutgers Scarlet Knights, but all of the news out of New Brunswick isn’t the good kind. 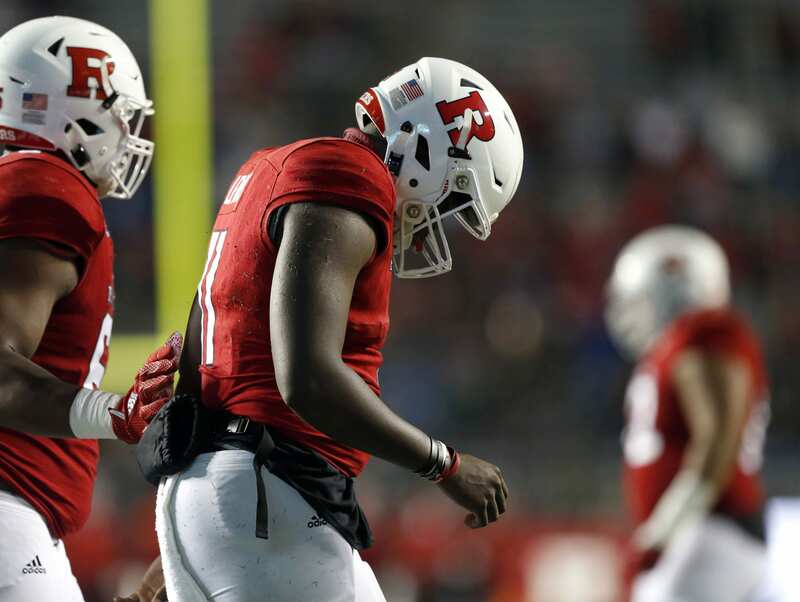 It’s hard to have a controversy free offseason, and the Rutgers team isn’t free from controversy after six players were left out of training camp because of an investigation into credit card fraud. Two Rutgers players, K.J. Gray and Brandon DeVera, were dismissed last month for a violation of team rules. While the specific violation isn’t known, it may be related to the investigation, which is being conducted by the university police department. Both players have the intention to transfer and continue their football careers elsewhere. They aren’t the only ones leaving the team. More recently, linebacker Syhiem Simmons announced on Twitter that Rutgers has given him permission to contact other teams, and his plans to transfer elsewhere. An outside linebacker from Atlantic City, New Jersey, Simmons is a redshirt freshman and hasn’t yet received game time with the Scarlet Knights. Five other players are under investigation right now, but Simmons is the only one to be suspended. The players that will be suspended for training camp because of the investigation are secondary members Malik Dixon, Kobe Marfo, Edwin Lopez, and Naijee Jones, as well as defensive end C.J. Onyechi. According to NJ Advanced Media, head coach Chris Ash can’t comment on the ongoing investigation and the training camp absence of the investigated players. It wouldn’t be a stretch, however, to predict that all or most of the players may end up leaving the program because of the incident. After all, Simmons is the third player to announce his intention to transfer since the investigation began.